We all browse the web, chat with friends and many of us make a living out of it. But this remains a fact that we know very little about the Internet, things about the past on the web and some names which are relevant to it. Following below are some of the interesting facts about the Internet and the Web. 1. Who invented the World Wide Web? It was Sir Tim Berners-Lee who invented it in March 1989. 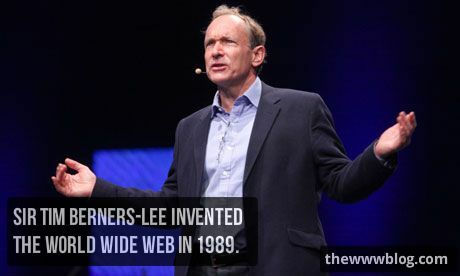 Sir Lee is a British engineer and scientist, and now is the director of the World Wide Web Consortium (W3C). He then received a knighthood in 2004 from Queen Elizabeth II. We often talk about surfing the Internet, a common phrase used when someone asks what are you doing. Isn’t it? This is not a phrase that came from no where. It was Jean Armour Polly, also called as Net-mom, who coined it. It was an article from her in 1992, titled “Surfing the Internet,” and since then, this one is one of the most commonly used phrases about the Internet activity. 3. Aren’t Internet and Web the same? While we mentioned both the words “Internet” and “Web”, there is a reason behind that. It was just to tell that both have different meanings. Internet is the networking infrastructure responsible for making connections between the computers, while “Web” is just a part of the Internet, where all the information is stored in form of pages, files and such. 4. 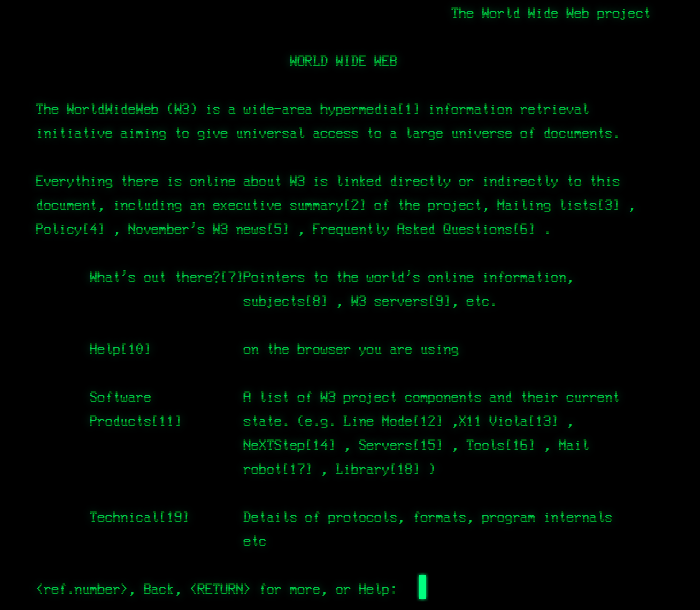 The first website to go online? It is http://info.cern.ch, and it was made online on August 6, 1991. Visit the website and check how the first website looked like, and you can even watch using a line-mode browser simulator. 5. How old is the Internet today? There is a website for it. Yes, nothing else is there but the age of the Internet. You can check that here. What is more interesting is a question given there, asking “What have you done today to make it better?”. 6. Did Facebook always look like it is currently? No not at all. The current Facebook design is not what it was even a few months back. So when Facebook was new to the Internet, in 2004, it looked like this. 7. How old is the GIF Animation? Those non-stationary pictures called as GIF (Graphics Interchange Format), are quite old. The GIF format was introduced by Steve Wilke, an engineer at Compuserve in 1987. Quite old, right? There are some of the world’s best websites which were actually going to be named differently than what they are called now. 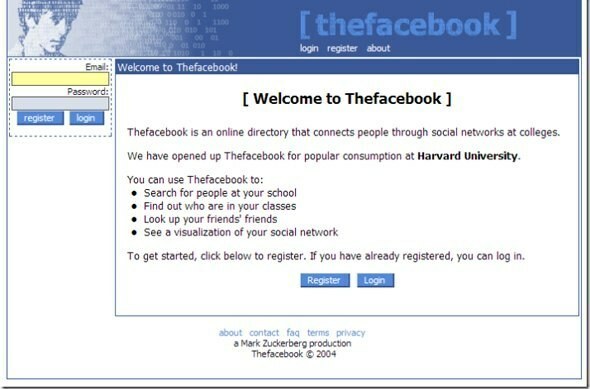 Firstly, Facebook was named “Thefacebook” and was opened at thefacebook.com, before Mark Zuckerberg changed it to Facebook later. The other famous names are – Amazon was supposed to be named “Cadabra”, Twitter was going to be called “Jitter” and the large buying-selling marketplace Ebay was going to be called “echobay”. In the top 100 websites on the Internet, except for one, all the websites are run by large corporations. The only one that runs on its own with funds and is accessible by anyone, is Wikipedia. Wikipedia is written collaboratively by largely anonymous Internet volunteers who write without pay, and there is no major corporation behind this. No it wasn’t Google or some old search engine you might have heard of. The first search engine on the web was called Archie, and it is still available for everyone to check out. Check out this link. It wasn’t used for searching the websites but for files across the web and FTP servers. The Internet is vast and we know not even a little part of it. Why not share the information we know, and gain something out of it? comment below with any facts that you might be knowing.